Panda Tai Shan in Space - on Flickr.com. More here. Visit my Animal Astronauts galleries: One and Two photo galleries on Flickr. 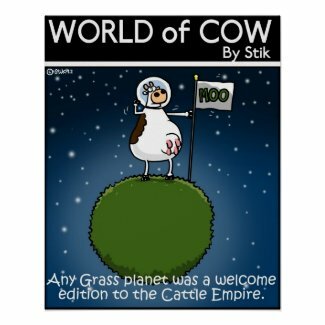 A tribute to some animal astronauts. A set of five drawings by Laura CB. 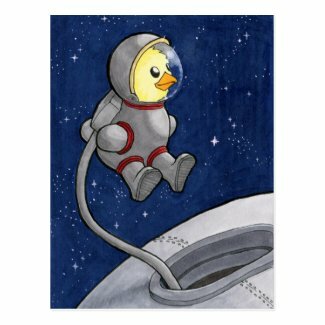 There is a beautiful Roadrunner Astronaut print at BerekleyIllustraton Esty store. Fun animal astronaut t-shirt from Threadless Tees. Design by Joseph Baum. Prints and other products are available. Designed and handmade with clay by Cactusoup crew. Curious George photo. Did you know that the creator of Curious George also wrote the children's astronomy books 'Find the Constellations' and 'The Stars'. Photo by: Flickr ID: NASA HQ photo. Click here to learn more. You know wolves howl at the moon. Did you know they have been into space. Here is proof. The game Muppets on the Moon has a cute drawing of astronaut Kermit. Click here for a photo of Elmo in an astronaut suit. Cute design available from Cafe Press Babymouse Store. Learn about the Space Mouse in a wikipedia article. Cat and Mouse in space. On XDA Wallpapapers website. Click here to see Disney characters such as Mickey Mouse and Pluto in space. This 2005 book by Michael J. Daley is for children but I enjoyed it. The story involves a lavender lab rat that gets sent out to space by mistake and befriends a lonely boy. The boy is on a space station with his parents who are too busy to spend much time with him. Learn more on author's website.The sequel is 'Rat Trap' (2008). Created in 2008 by Tina Kugler on commission for Rahr-West Art Museum in Manitowoc. She also several posters Sputnikfest, an annual festival in Manitowoc, Wisconsin. It's a "wacky tacky" space-themed festival to commemorate debris from Sputnik IV falling in Manitowoc in 1962. Click here to see Tina's 2009 Sputnikfest poster and here for 2011 poster.